The Peugeot 107 , Citroen C1 and Toyota Aygo - which are based on the same platform and share engines - have all been given an overhaul for 2012. An exterior restyle and lower emissions are the most notable changes. The Peugeot, pictured above, will be available from February, with the Aygo following in March and finally the Citroen C1, in April. All three are powered by the same 1.0-litre three-cylinder petrol engine which has now been revised with better fuel economy and lower emissions - now down to 99g/km. As a result all three now qualify or free car tax plus they are exempt from the central London congestion charge. Economy has improved to 65.7mpg. The models come with a five-speed manual gearbox as standard while an automatic is available as an option and sees emisssions increase slightly to 104g/km while economy drops marginally to 63.8mpg. The 998cc produces 68bhp and 93Nm of torque, meaning a 0-60mph time of 14.2 seconds. 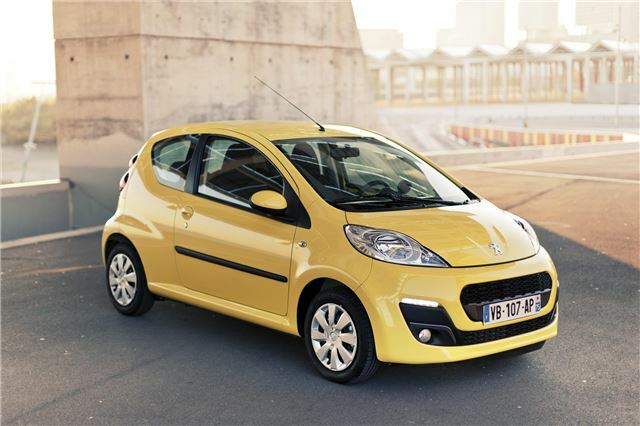 The Peugeot 107 is priced from £7995 for the three-door version, and £9345 for the five-door. Entry level Active models now get air conditioning as standard, and the Allure spec has been improved, with alloy wheels, Bluetooth, rev counter and USB connectivity. Similarly, the Citroen C1 has improved specification, with the same USB and Bluetooth connectivity offered in the 107. Externally it benefits from LED daytime running lights and new alloy wheel designs, as well as improved interior quality and a radio fascia redesign. The Aygo has been given an interior upgrade too with a new dark grey finish for the dashboard, a new steering wheel with a leather trim, plus paddle controls on the steering column for models using Toyota's Multimode automated manual transmission. The ring surrounds of the instrument dials and air vents are finished in grey, orange or black, with the front door speaker surrounds coloured silver or orange. Pricing information for the C1 and Aygo is unavailable at the moment, but more details will be released nearer their launch dates.